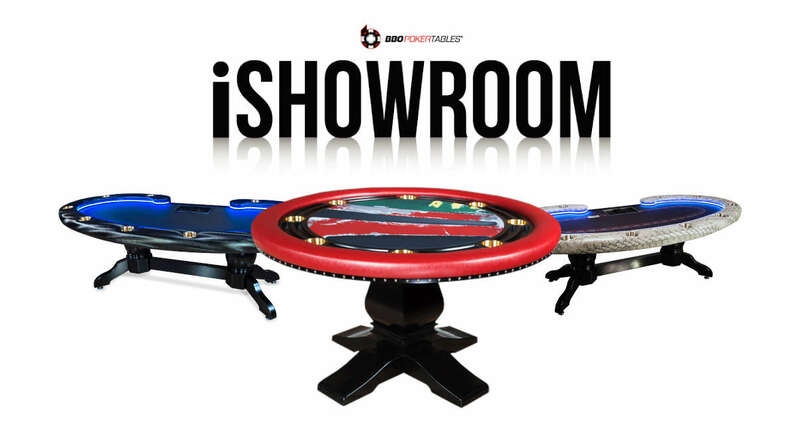 Welcome to our iShowroom! 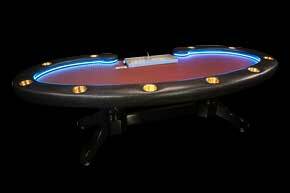 BBO Poker Tables offers a wide variety of poker tables for sale. 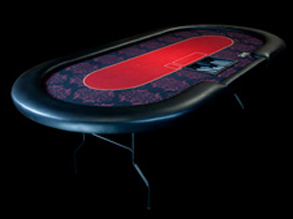 In short, our table offerings break down into three broad groups of poker tables. 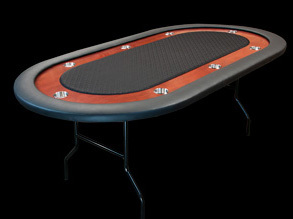 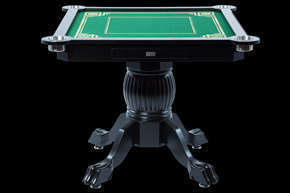 Then, we also offer our full line of poker tables in what we like to call our “Classic” configuration. 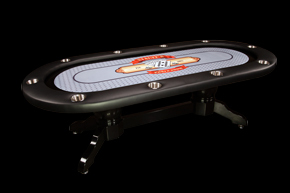 Classic configurations are with limited cloth color options (red, green, blue and black) and typically with or without cup holders. 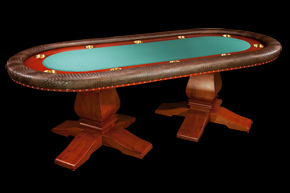 You can see all of our Classic series further down this page. 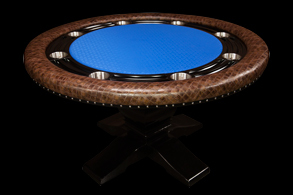 Finally, we offer all of our table models with infinite combinations of customization. 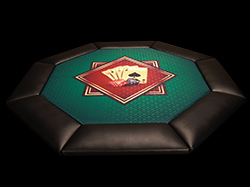 Everything from different types of playing surfaces, including custom or design templates, as well as with built-in automatic shufflers, USB chargers, chip racks, armrest material, LED lights, chairs, chip racks, money drop slots and much more. 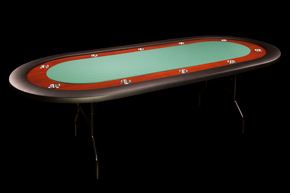 Start configuring your custom table here	. 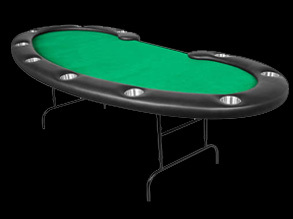 Of course, if you have any questions, please call Chip at (877) 841-9301 ext 1. 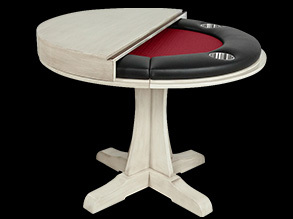 Chip will be happy to help you create and order the table of your dreams, right over the phone! 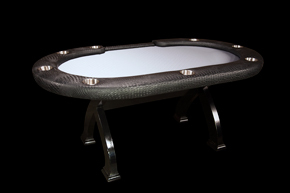 FIND YOUR DREAM iSHOWROOM TABLE! 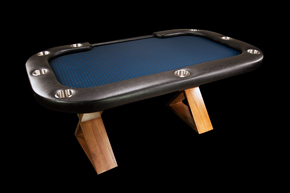 Build your one of a kind poker or game night table by picking a base and customizing to fit your style. 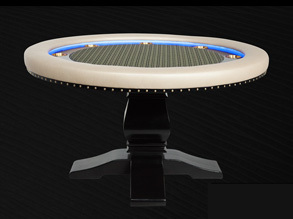 Custom builds take a few more days, but are well worth the time!